Heavy (medium) duty racking forms the main parts of the Mezzanine, and cold rolling walkways connect all shelving to build a whole structure of Mezzanine. Special locks are used to fix walkway and catwalk tightly. The walkway has such advantages as good loading capacity, high precision, quite smooth walkway surface, and it's easy to be fixed. The mezzanine is equipped with lighting system, easy for accessing and management of goods. 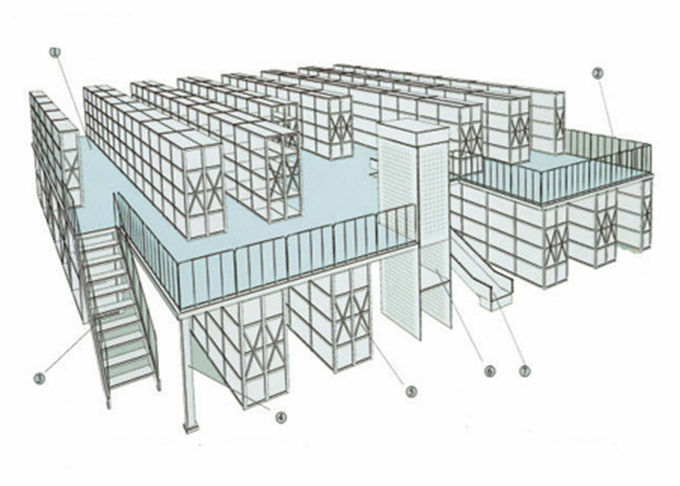 Warehouse Rack Supported Steel platform System that double (with one storey) or triple (with two storeys) the surface of warehouses and premises. Quick, easy and clean to assemble. Rack-supported mezzanines are the most economical way to create an additional floor level using standard pallet rack components, which utilize the cubic area of warehouses and maximizes your storage space. Rack-supported mezzanines can be built over existing equipment and work areas. By improving workflow efficiency and space utilization, rack-supported mezzanines can eliminate downtime and expensive relocation costs. 1. 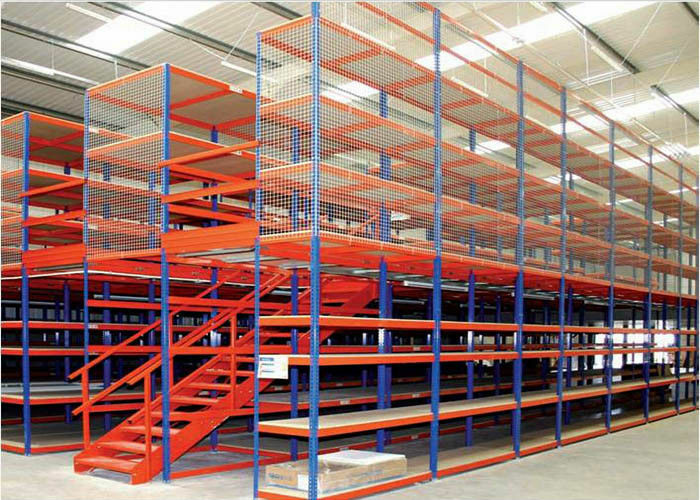 Mezzanine Racking System are widely used in high warehouse, small goods, manual access, access to a larger amount under the circumstances, from the minute use of space. Save the Treasury area. More particularly applicable to auto parts, electronics, light industry, clothing, and other enterprises of the products classified preservation. 2. Mezzanine Racking System medium-shelf shelves or use heavy shelf shelves plus floor as the main support panel (based on the total weight of the negative shelf unit to determine what kind of shelf), plate appearances usually use wood or cold-rolled steel gusset plate and the like. 1.. Q: What is the raw material of your products? A: As general, T/T 30% deposit+70% against B/L copy.L/C is availabe. 3. Q: What is delivery times? A: It depends on the order quantity and racking types. As general, within 30 days after we receive 30% deposit. A: Shenzhen and Guangzhou port. 6. Q: Are samples available?